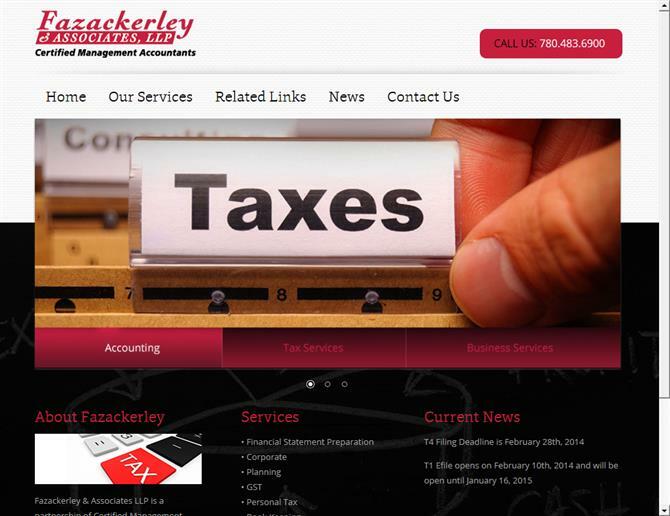 Fazackerley and Associates accounting wanted to make their break onto the web in a sophisticated and different way than their competitors. Our custom design for them was created with that in mind, purposefully breaking out of the mould that all the industry websites that we previewed were following. Showcasing their services and helpful financial links, their brochure style website gives new clients an example of their offerings and existing customers some helpful advice. After talking through the benefits of the most recent content possible for google SEO rankings, Fazackerly decided to include a blog news section. This allows them to easily and continually update the content on their website which will help both their clients and their search ranking.